It didn’t change the way I think about hunting and trapping, but it did make me think about why I hunt. There's no easy way to answer that question, since the reasons have evolved as I've gotten older. Working my way toward the "why," I think it's worth exploring a bit of the history of how I got into hunting, to explain its appeal and importance to me, especially for those who've never picked up a rifle. I started hunting because my dad hunted; I don’t think I really knew what hunting was, I just knew that all the men in my family did it and I couldn’t wait to be a part of it. I remember going duck hunting with my dad when I was six. 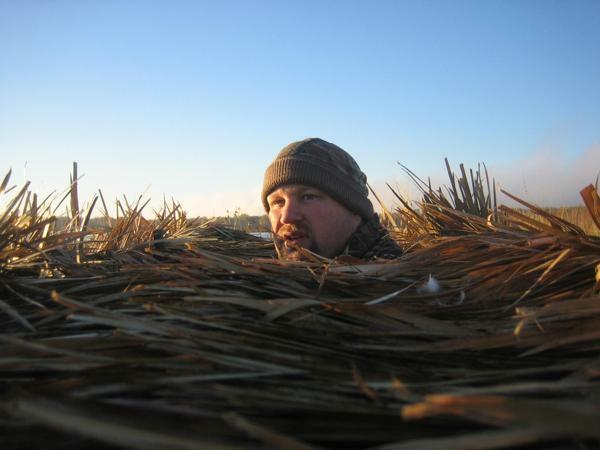 He would always throw out some decoys and then take a nap in the boat. I was always too excited to sleep, I wanted to see everything, and it felt like if I blinked, I would miss a duck. Whenever I would get to restless, my dad would take out an old BB gun and let me shoot at one of the decoys. I remember one of the first few times I went, my dad was sleeping in the front of the boat and I kept saying to him, “Dad, there’s a duck in the decoys." He kept telling me it was just one of the decoys blowing in the wind but I didn’t believe him and kept at him. Eventually, he handed me the BB gun and said I should shoot it, and when I did, it flew away. I am 39 years old now and that story still gets told whenever my dad and I are in the same spot. At 12, I went on my first deer hunting trip and although I wasn't allowed to hunt, I got to sit in a blind all day with my grandpa. We went out to the blind very early in the day and my excitement level was through the roof. It was freezing cold but that didn’t seem to matter, my adrenaline was pumping and I couldn’t even feel the cold. I was hyper alert and so badly wanted to see a deer. It's amazing how, when you're that excited, and looking out over a field, everything looks like a deer. I think having me out there for the first time kind of brought that excitement back for my grandpa as well. I always knew my grandfather loved me, but whenever we were out hunting you could really see how much it meant to him. A few years later, I shot my first deer with my grandpa talking me through it. I was so amped up that I ended up shooting a small doe instead of the buck right next to her, but at least I made a good shot. I got a lot of grief for shooting that doe and it taught me a valuable lesson. You have to stay calm and see the whole picture or you may miss something. My first deer wasn’t hard for me like it is for many people. My little brother cried when he shot his first deer, so did my mother. I think that's a normal reaction for people to have. 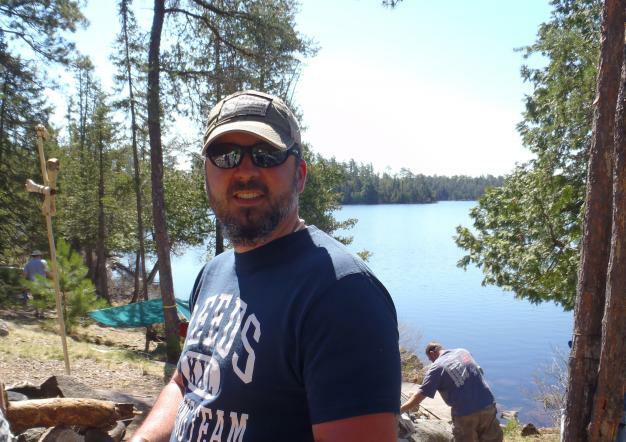 For me, I had already been duck hunting and squirrel hunting for a few years before I shot that deer. So I kind of knew what to expect. I remember feeling like I had finally accomplished something and even though my dad and grandfather were giving me some grief I could see that they were both very proud. As I got older, Grandpa went out hunting less and less and dad was too busy to go, so I started hunting alone. I discovered that there's a certain amount of peace that goes along with being in the woods or out in a swamp alone. I do believe that certain things only happen to you when you are alone in the woods, sitting perfectly still, without a sound. I've had deer walk so close to me that I could pet them. 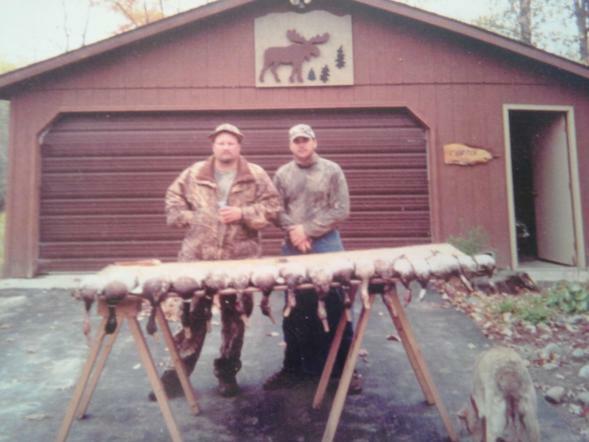 One of my favorite experiences happened while I was bow hunting a number of years ago. I was sitting in a tree stand, waiting for a deer to come by, and heard a noise right next to me in the tree. I slowly turned to my right and there was a large owl that had landed about three feet away from me. It sat there for what seemed like an eternity just staring at me. Then, just as quickly as it was there, it took off and was gone. It is really a terrific feeling being in the woods and being so still and quiet that everything around you forgets that you are even there. After high school and four years in the Navy, I came home with a new interest in cooking and trying new foods. I lived with a guy named Chris Boni who really liked to cook and got me interested in cooking. This led to a rekindled interest in hunting. Growing up, I'd embraced hunting for bringing me closer to my dad and grandpa, and then for its ability to appreciate solitude, but with a new enthusiasm for food, hunting became a way to expand my cooking skills, and to eat in a sustainable way. A fellow hunter, Eric Passe, and I started doing a lot of duck hunting and that led to a range of duck recipes and cooking experiments. Where my dad and grandpa really got me into hunting, Eric helped take me to that next level, and his guidance really helped shape the hunter I've become. Eric spends a lot of time throughout the year practicing his calling and maintaining his equipment, and through him, I've learned that you can’t just start practicing for the hunting season a couple weeks before the season begins. You have to stay fresh all year long, if you do that you will be much more successful. Keeping your skills sharp is a responsibility all hunters should embrace. Not just our shooting skills, but scouting areas we hunt and studying the animals we hunt, we make better choices and take better shots. After getting home from the military and expanding my hunting and cooking skills, I began to take people out hunting, and I even had the pleasure of taking my mother hunting for the first time. My first post for Simple, Good and Tasty was all about that experience, and that story, in a way, is really all about why I hunt. I hunt for food, and love being able to take all the different game meats that I get and turn them into delicious meals. I know that I don’t have to hunt for food, but every time I hear about another meat recall for tainted meat, I'm really happy that I do. I also hunt to stay connected with my past and my family; in that first post, I wrote about taking my mom squirrel hunting. Mom was never allowed to go hunting when she was a kid because dads didn’t take the little girls hunting. 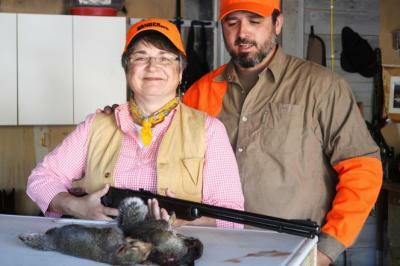 When I took my mom hunting, she got to use a .22 rifle that belonged to her grandfather. To me, there is something very personal about going out into the woods with a 100-year-old rifle that used to belong to my great-grandfather. Lastly, I hunt for my children, Ellie and Charlie. When they grow up, if they choose to go out hunting with me, I will do everything I can to teach them the right way. 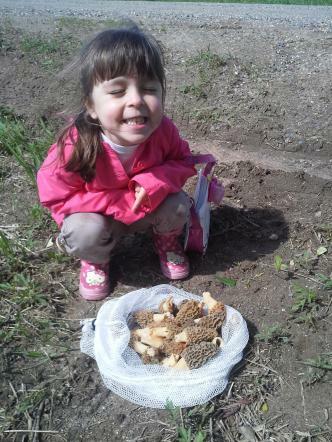 Ellie is going to be five this year and she already knows how to shoot a bow and identify morel mushrooms. I feel that having a connection to the outdoors is one of the greatest gifts any parent can give to their children. My family gave that to me, and I hope to pass that on to Ellie and Charlie. 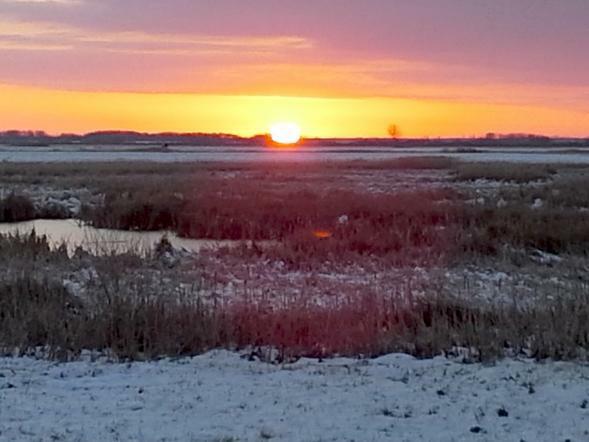 In short, I don't think there's any single answer to why I hunt — instead, there are interconnected reasons like enjoyment, solitude, spirituality, and a love of the outdoors. 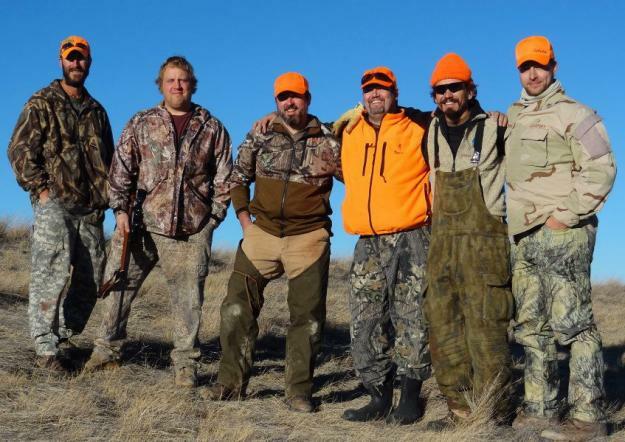 Most of all, I believe in sustainable food and in the strength of family, and for me, hunting brings those together.